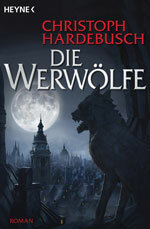 A unique novel that looks at the myth of the werewolves from a completely new angle by bestselling author Christoph Hardebusch. The place is Europe and it is the beginning of the 19th century. While the Old World is recovering from numerous wars, far-reaching changes are starting to make themselves felt – humanity is on the threshold to modern times. Traditions, however, are still strong and the old rigid structures are slow to collapse. At this time of change, an ancient threat from times gone by is preparing to drag human beings into an abyss. Something has survived in the shadowy parts of the world – the werewolves. A mere handful of heroes, including the nobleman Niccolo, stand up to the danger. Their search for the truth takes him right across Europe and into those corners of the world where the darkness is at its blackest. If I had a time machine, I would travel to the early 1800s to try and understand this exciting time full of change and idiosyncrasies.